Although developed in the 1910's the 50 BMG, or 50 Browning Machine Gun, was officially instated in the American Military in 1921. 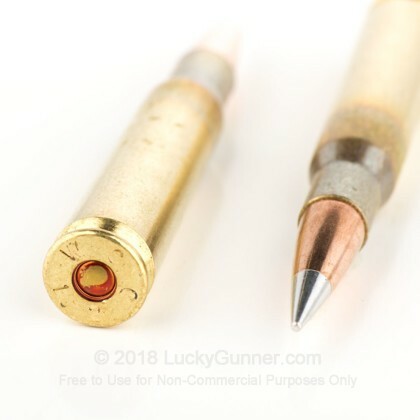 Based on the 30-06 and scaled up immensely, the 50 BMG is an official NATO round, and it is also used in many non-NATO nations. Not only is this massive round used in the Browning machine gun, but now, it is also used in long distance rifles and other, more modern machine guns. 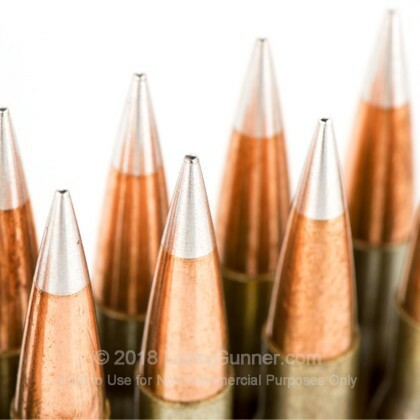 Hornady, since the end of World War II, has been providing the United States with the accurate and reliable ammo we need, including some of the most innovative rounds of our age. 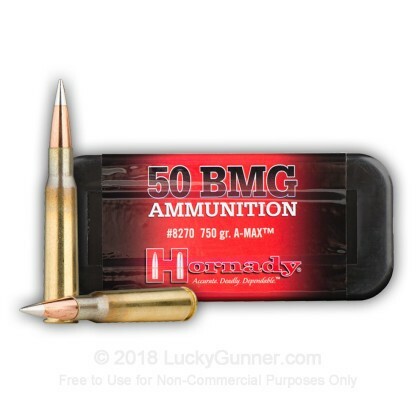 These massive 750 grain, A-Max Match rounds from Hornady are incredibly accurate, have amazing trajectories, and are extremely reliable. 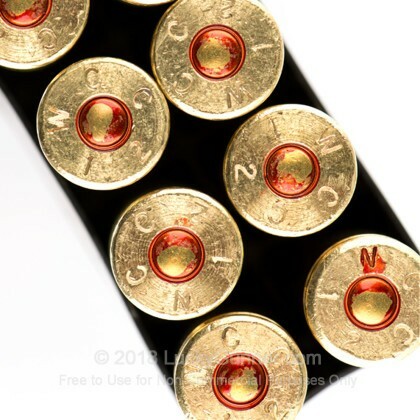 Each round in this case of 100 is loaded into a boxer primed brass casing that is re-loadable. With these high performing match grade rounds, you have just what you need for your next shooting competition. Pick up a 100 round case today! 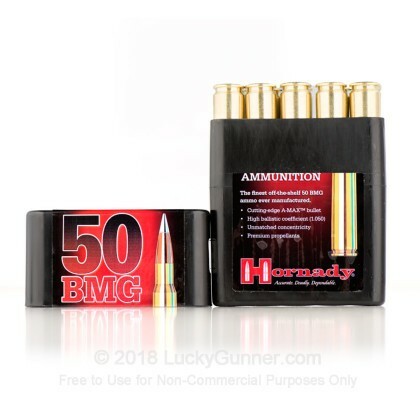 We don't have any reviews yet for this particular .50 BMG ammo from Hornady. 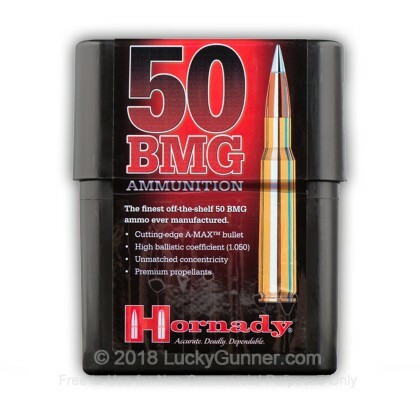 If you'd like to be the first to review this particular .50 BMG ammo from Hornady, fill out the form below. 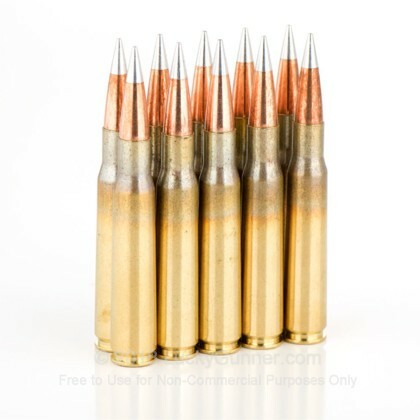 Please click here for our current in stock specials on .50 BMG! 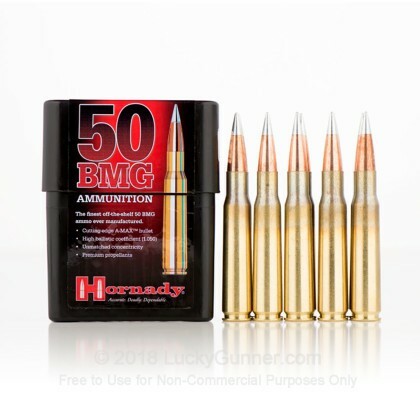 We also have this 50 Cal BMG - 750 gr A-MAX Match - Hornady - 10 Rounds ammo in stock in a smaller quantity.